Kelly's own Bird Dog Wheeler! Kelly Distributors of Easton is a platinum sponsor, bringing the Budweiser Clydesdales to the 42nd Chestertown Tea Party Festival on May 25 - 27, 2018 in Chestertown, MD. This is the fifth year the company has supported bringing the Clydesdales to the Eastern Shore. Residents can get a glimpse of these magnificent horses at the StreetParty on Friday evening May 25 at 6:30 p.m. at the foot of High Street in Chestertown. On Saturday, May 26, the Clydesdales will be the guest of honor in the Colonial Parade at 10 a.m. After the parade at 11 a.m., the stately horses will be available for a meet and greet in Wilmer Park. Sabine Harvey, President Chestertown Tea Party Festival, comments, “We are beyond grateful to Kelly Distributors for bringing the Clydesdales to the 42nd annual Chestertown Tea Party Festival. We could not have made this happen on our own. The entire community is looking forward to seeing those impressive horses in the parade. For Mary Simmons, who is in charge of organizing the parade, it is ‘like Christmas in May.’ Kelly Distributors has been a very generous supporter of the Chestertown Tea Party Festival for many, many years. Kelly's success in bringing the Clydesdales to Chestertown is going to make this one of the best weekends ever." In addition to providing the Clydesdales at the Festival, Kelly Distributors also brings the craft beers to both the kick-off celebration and block party on Friday, May 25 from 6 to 9 p.m. at the foot of High Street and at Festival’s Craft Beer & Wine Tasting event on Sunday from 11 a.m. to 4 p.m. at Wilmer Park. Over 15 craft beers will be represented at the event this year. Nina Fleegle, Washington College, running Friday Night Block Party, adds, “Kelly Distributors has been a great partner to the Young Professionals for all of our events, but especially for the events we host during the Tea Party. They provide exceptional customer service, understand how large events are run, and are flexible. They always embrace our wanting to promote local brews and craft beers and understand that we like to promote those in our community who are trying to break into the beverage business. 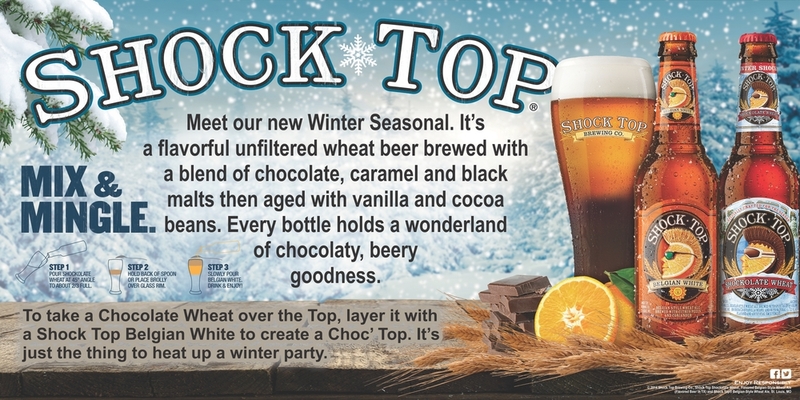 Visitors and residents who attend the Tea Party like to try something new, and Kelly Distributors always gives great recommendations for craft beers that people have never heard about before but end up loving." The Budweiser Clydesdales made their first-ever appearance on April 7, 1933. A gift from August A. Busch, Jr. and Adolphus Busch to their father in celebration of the repeal of Prohibition, the presentation of the original two six-horse hitches of champion Clydesdales moved father, sons and drivers to tears. 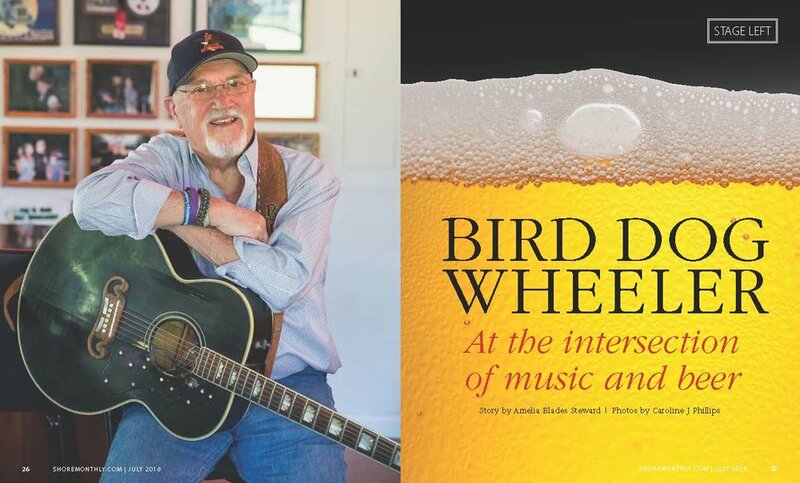 The phrase “crying in your beer” was officially coined shortly thereafter. The Budweiser Clydesdales have figured prominently in two Presidential inaugurations. They appeared in Missouri native Harry Truman’s inaugural parade in 1949, and then again for Bill Clinton’s in 1993. J.C. Dodd Distributing was founded in 1948 by J.C. "Jack" Dodd in Easton, Maryland and changed its name to Kelly Distributors in February 2004. Kelly Distributors is currently owned and operated by the Kelly family, descendants of Robert Lee Hall, Jr., founder of Bob Hall, LLC. The company distributes Anheuser-Busch InBev and craft brewery products to Talbot, Queen Anne's, Caroline, Dorchester and Kent counties. For a schedule about the Budweiser Clydesdales activities during the Chestertown Tea Party, visit http://www.chestertownteaparty.org. Caption: Kelly Distributors of Easton is a platinum sponsor, bringing the Budweiser Clydesdales to the 42nd Chestertown Tea Party Festival on May 25 - 27, 2018 in Chestertown, MD. Milford, DE – Mispillion River Brewing has signed distribution agreements with three Maryland distributors: Sentman Distributing, Kelly Distributors, and Eastern Shore Distributing. After months of research, Mispillion selected family-run distributorships that have shown historic success with craft brands. Sentman Distributing, Kelly Distributors, and Eastern Shore Distributing carry such brands as Victory, Troegs, and Devil’s Backbone and will add Mispillion to the list of craft breweries that they represent by the end of May. This will be the first time that Mispillion has expanded their distribution outside their home territory of Delaware. Mispillion has begun to schedule kick-off events in Maryland and will be hosting pint nights and tap takeovers throughout the area. Atlanta-based SweetWater Brewing Company expanded into Maryland this week. Celebrate their Maryland launch with an event near you! 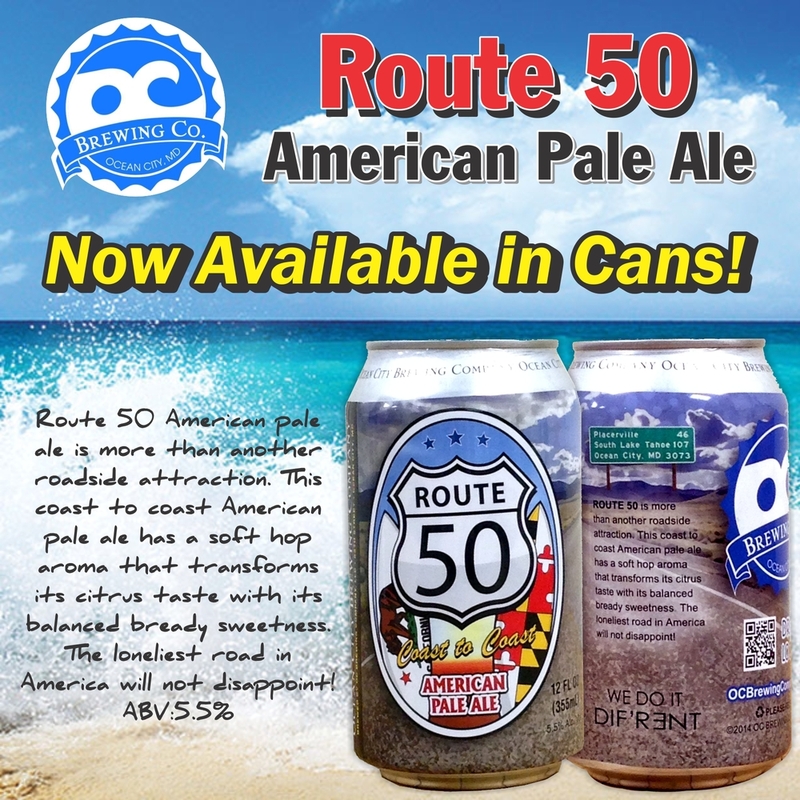 Ocean City Brewing Company's Route 50 American pale ale is now available in cans! Happy 5th Annual Global Be(er) Responsible Day from Team Kelly! We support responsible serving, selling and consuming of alcohol beverages by educating servers/sellers, providing retailers with I.D. checking materials and promoting the importance of using a designated driver. The infographic below illustrates Anheuser-Busch InBev's progress so far in reaching their goals to promote Responsible Drinking. Have Fun, Be Safe, and Drink Responsibly! Cheers!